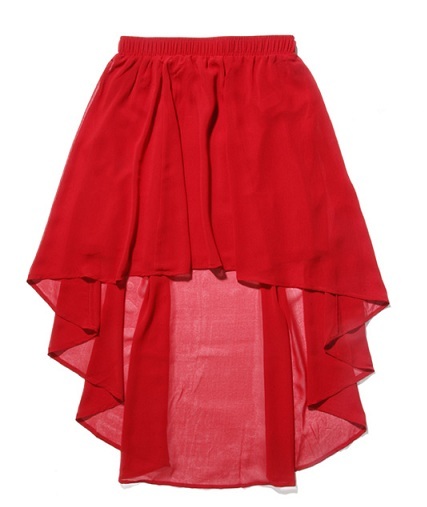 Chiffon high-low skirt from Forever 21. And this cutout open toe bootie from See by Chloe would go perfectly with all three looks! A bigger investment item, but well worth it since there will be more looks than just high-low skirts that you will wear these with!